Yet again as we all know by now, another management company has been busted with their hand in the cookie jar, and this time it was theft against music icon Alanis Morissette. 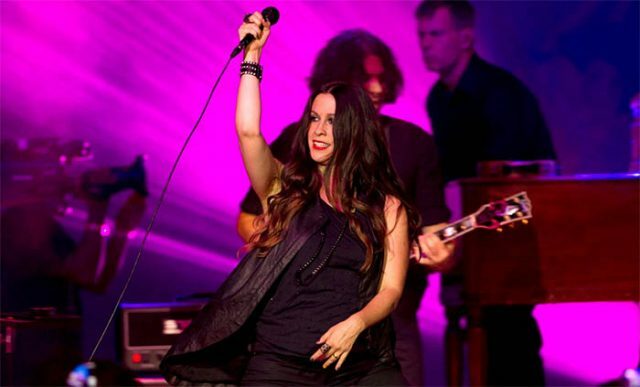 Jonathan Schwartz has now copped a plea deal with the FBI, pleading guilty to theft of almost $5M in Alanis’s funds by claiming false expenses. A move done so to lighten his sentence, as he faced almost 70 years behind bars, if he was found guilty on all charges. His plea agreement will now only carry around a 5 year sentence for tax fraud. GSO, the company Jonathan worked for representing celebrities in turn, sued Schwartz and insisted it was also in the dark about his embezzling, which it alleged was to pay for the former manager’s lavish lifestyle and gambling debts. At the time, Schwartz alleged he invested Morissette’s money, at her behest, in a marijuana growing business. But the singer denied his claim. And while Morissette dropped her suit against Schwartz when the two reached a settlement shortly after her filing, his legal problems didn’t end there. Alanis’s net worth is around $50M, so even though the amount stolen of $5M was substantial, she should be just fine… Especially after GSO Management Company adds another $15M to the singers portfolio.